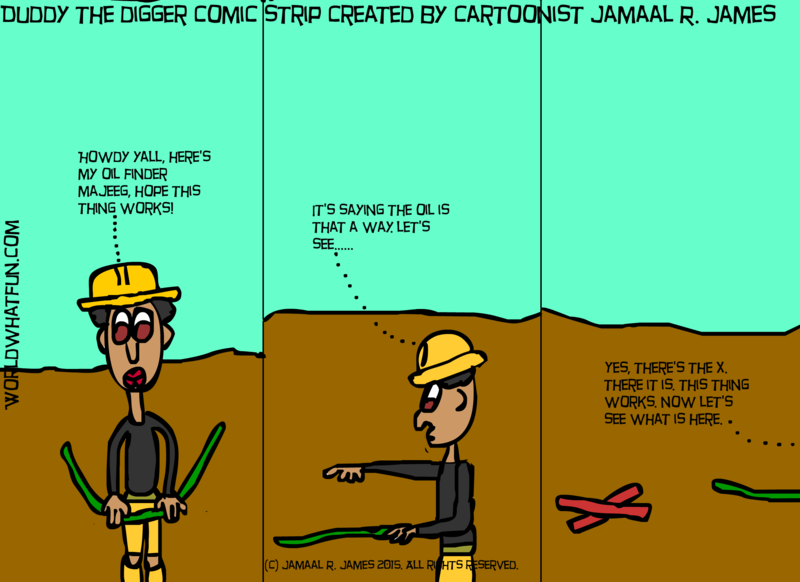 Duddy The Digger Comic Strip created by Cartoonist Jamaal R. James for James Creative Arts and Entertainment company. In this posting Duddy is searching for a place to find some oil on the top soil. Enjoy. In this posting our friend is in a underground hole tapping for oil when Eureka, he hits GOLD again. Man I wish Duddy was on my oil prospecting team. He’s so hot right now, he can’t lose. Go Duddy, Go Duddy, Go, Go, Go, Go! *Well actually it’s just an oil leak. 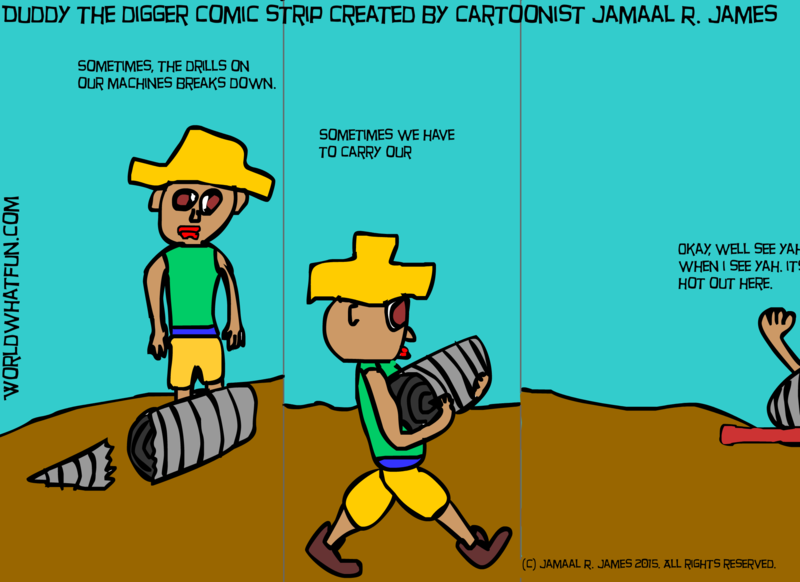 In this posting Duddy The Digger is taking a break and then he has to help with a gusher. In this posting our friend has a pipe that breaks down and he has to repair it. Enjoy. 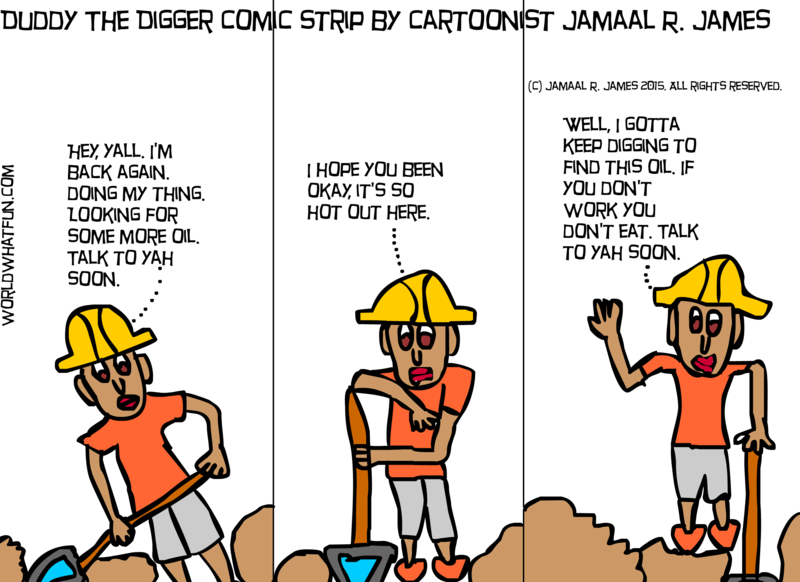 In this posting Duddy, keep son digging away to find some new possible oil wells. Enjoy. 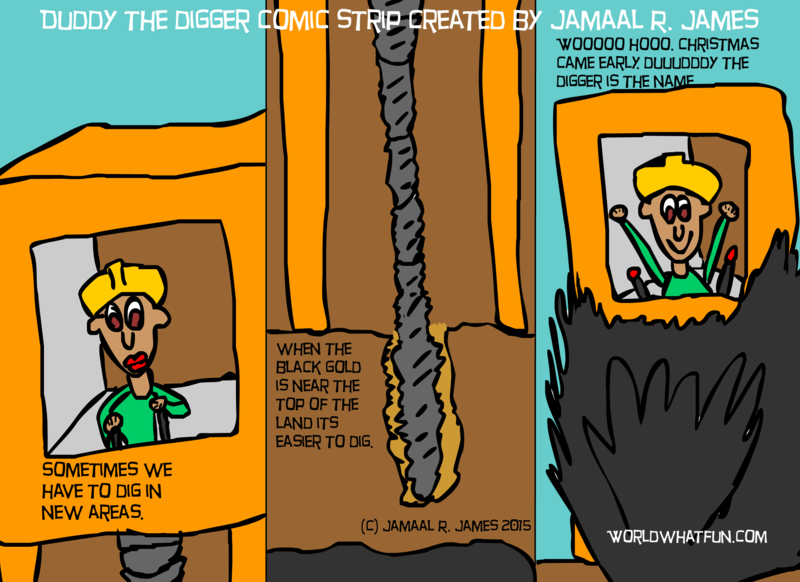 Duddy The Digger Comic Strip created by Jamaal R. James for James Creative Arts And Entertainment Company. Our friend Duddy has once again joined us for this round of fun. Enjoy. In this posting our little friend Duddy takes the time to look around and smell the roses. In this posting our friend finds a new well and gets some more overtime. Enjoy. 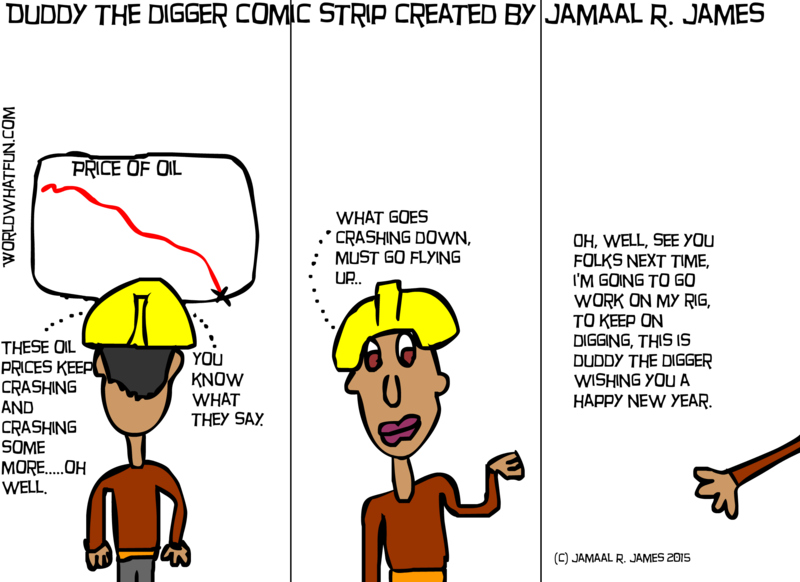 In this posting our friend Duddy talks about the price of oil and how that’s effecting his work. Enjoy. 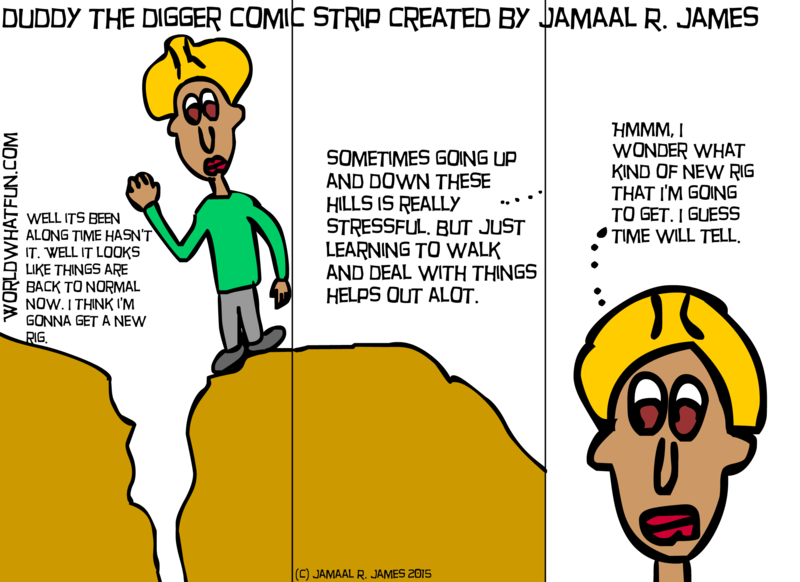 Comics Online, Children’s Comics, Sunday Comics, Newspaper Comics, Digital Comics, Children’s Stories, kids, Storytelling, Comics for kids.